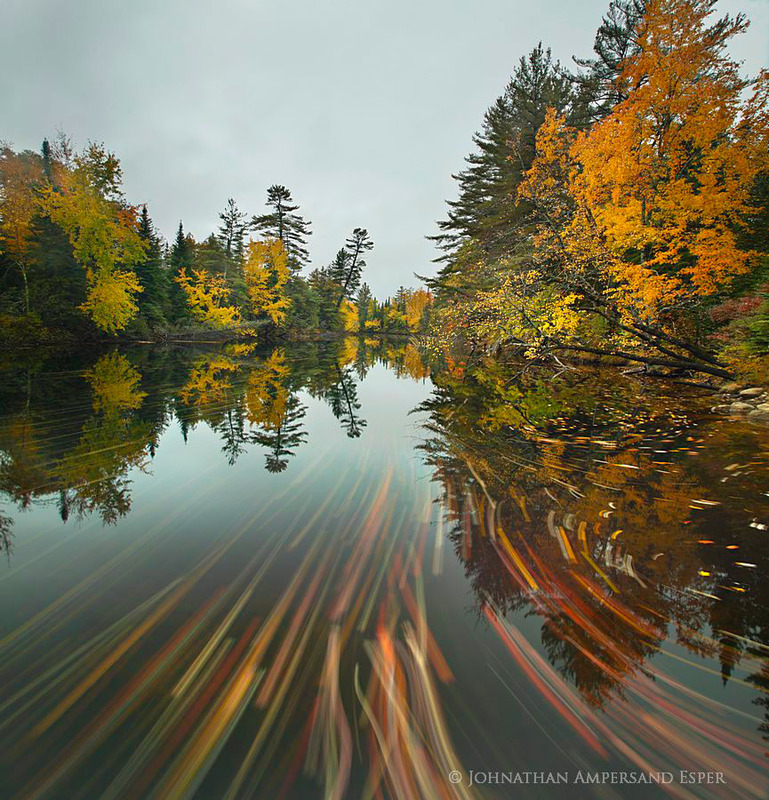 Raquette River near Tupper Lake autumn fallen leaves streaming downriver 30 second exposure. . Photo © copyright by Johnathan Ampersand Esper.